Brave. Dedicated. Willing. Reliable. These words describe the 81,000 licensed or certified EMS providers in California. They demonstrate these qualities every day by coming to the aid of others when they are most in need and working to ensure that the EMS system operates well. However, each year, due to circumstance or extraordinary effort, certain individuals among us shine the brightest. In 2018, California suffered the most severe wildfires in its history with an unbearable human toll. EMS response was pushed to its limits, and its personnel were stretched to meet the unconscionable demands of the wicked flames. EMS providers pushed ahead into the danger and did what they do best, save lives. Due to the number of EMS professionals who responded to the Camp Fire, the California Emergency Medical Services Authority will hold two awards ceremonies in 2019 to honor the superheroes among us. On June 17, 2019, the Camp Fire CA EMS Awards will be held in Butte County to honor those who provided exceptional EMS response to the Camp Fire from November 8 to December 31, 2018. Registration: This event is free. Registration info – coming soon! On December 4, 2019, the CA EMS Awards will be held in San Francisco to honor all those who provided exceptional EMS response from September 15, 2018, to September 15, 2019, anywhere else in the State. Individual and statewide awards will be made by EMSA. EMS providers, supervisors, and managers are encouraged to nominate any deserving individual for recognition. 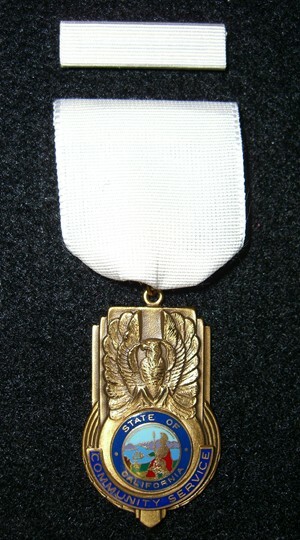 The award period for the nominations for the awards is continuous. Become an EMS Awards Sponsor! 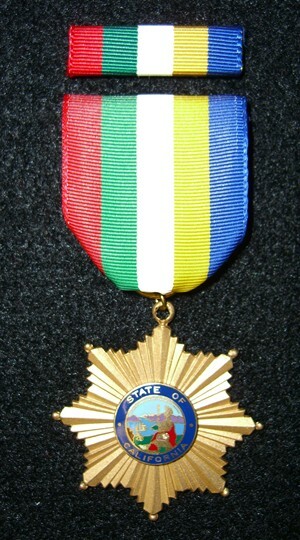 The California EMS Awards Program operates at no cost to the State of California. The event(s) would not be possible without the support that the EMS Authority receives from sponsorships from the EMS community. In 2019, the EMS Authority is seeking sponsorship for two awards ceremonies: the Camp Fire CA EMS Awards and the Statewide CA EMS Awards. All sponsorship at the Silver-level or higher will be considered sponsors of both the Camp Fire CA EMS Awards and the Statewide CA EMS Awards. Platinum-level sponsors are given the opportunity to present an award and receive eight event tickets; Gold-level sponsors receive four event tickets; Silver-level sponsors receive three event tickets, and Bronze-level sponsors receive two events tickets. Complimentary professional event photobook with sponsor name and logo. View our 2016 Photo Book. Other contributions are gladly accepted. 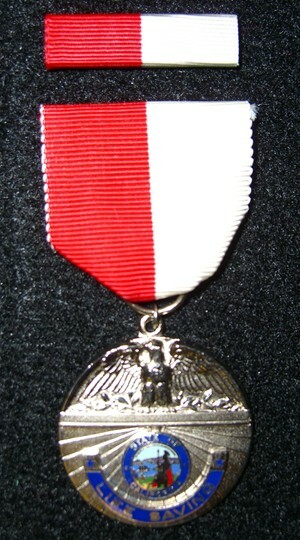 The California EMS Awards Program honors special advocacy, meritorious acts, heroic acts, innovations or new approaches to improve EMS in the state, or other unique and/or significant contributions by EMS personnel, physicians, nurses, EMTs, other medical providers, local officials, members of the law enforcement community, citizens, and first responders. These awards are intended to recognize meritorious acts of certified and/or licensed EMS providers. To nominate, state the nominee’s relationship to the EMS system, the types of service or acts for which the nomination is being made and provide supporting documentation where appropriate. Recognizes an EMT for acts of personal valor or heroism in the delivery of emergency medical care, which results in the saving of a life under extreme conditions and/or in extraordinary circumstances. Recognizes a uniformed EMT who by act and deed represents the most outstanding achievement or accomplishment in EMS over an extended period of time. 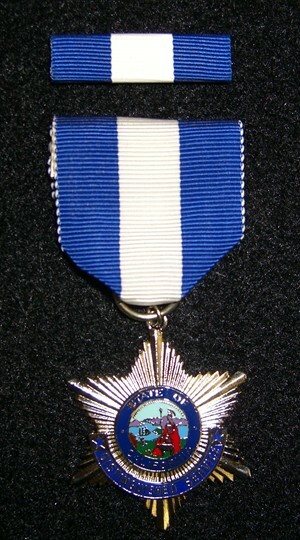 This is the highest award that can be conferred in the absence of extreme conditions and extraordinary circumstances. Recognizes an individual for distinguished service or achievement affecting statewide EMS over an extended period of time. 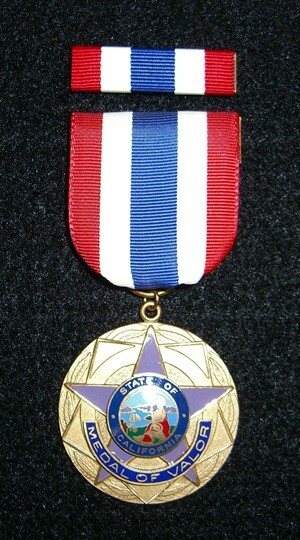 A maximum of ten Distinguished Service Medals will be awarded in any one year. 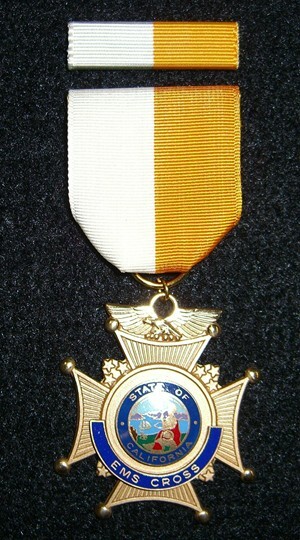 Recognizes an individual for a meritorious act or service within EMS. This award also recognizes an EMT for an act that is above and beyond the call of duty in the course of a particular EMS emergency or event. Recognizes an EMS provider who, while in an off-duty or volunteer capacity, makes an extremely noteworthy contribution to efforts which result in the saving of a life. 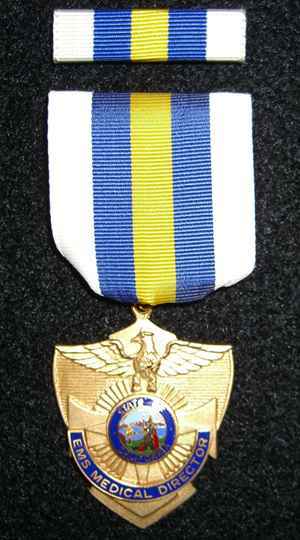 Recognizes an EMT who has made an outstanding commitment to non-patient care aspects of a community’s EMS system. Special emphasis is on EMS Public Information, Education, and Relations. A maximum of ten Community Service Awards will be conferred in any one year. Recognizes outstanding heroism, extraordinary service, or achievement of non-EMTs (police officers, firefighters, lifeguards, dispatchers, and other public or private safety officers) for outstanding or exceptional support of a particular EMS emergency, event or operation. Recognizes a civilian (non-certified, non-health care provider) who provides extraordinary service during the course of an EMS emergency. Awards are relatively based upon the degree of patient outcome, extreme conditions, or extraordinary circumstances. Honors an EMT-I, EMT-II and EMT-Paramedic, each of whom is exemplary in his/her quality of patient care and/or dedication to their community. Any statewide certified EMT-I or EMT-II, and any licensed EMT-Paramedic is eligible. Nominations may be made by anyone. Describe the nominee’s qualities and contributions to the local EMS service or system. Letters of support from fellow EMTs, local EMS directors, and local officials will be weighed heavily. Honors an EMS educator who excels as a teacher or who has made a significant contribution to the EMS education program in the State. Active EMS educators or EMS training officers are eligible. Nominations may be made by anyone. Include all specific background and achievements which delineate why the nominee is deserving. 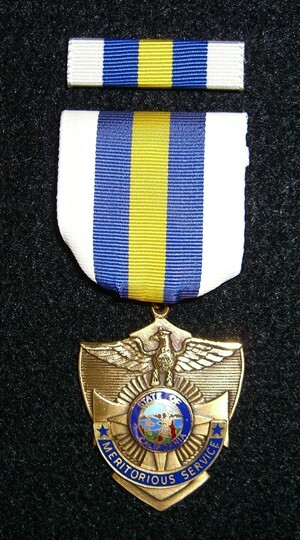 Honors a physician who serves or has served the EMS system by providing medical direction, on-line or off-line, and who has served with distinction. 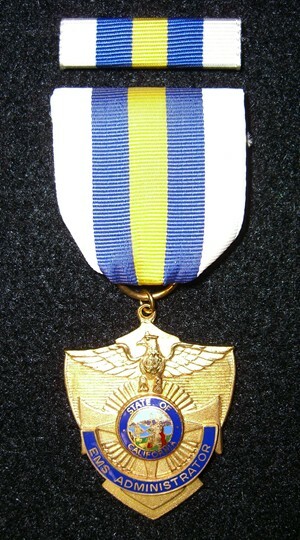 A physician licensed in California who serves or has served meritoriously as an EMS physician supervisor or as an on-line medical control physician and who has made a special contribution through such activities as systems development, continuing education, quality assurance, medical community liaison, etc. To nominate, detail the special contributions or meritorious service of the nominee and provide supporting documentation if appropriate. Honors an EMS system administrator who has distinguished him or her self through noteworthy contribution to a local, regional, or to the statewide EMS system. Local EMS administrators (supervisory operations, planning, or management personnel) in California are eligible. 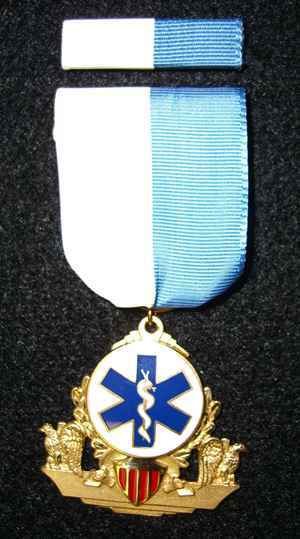 To nominate, identify the individual’s contributions, achievements, role in EMS and why he/she is deserving of the honor. May be worn by an EMT who has completed an associate degree or higher from an accredited institution of higher learning. 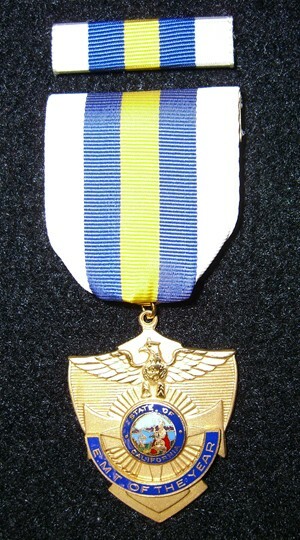 May be worn by an EMT who has completed 10 years of service. Numerals (2+) may be worn for every subsequent 10 years. Recognizes an EMT who provides noteworthy patient care and treatment during the course of their duties. If you have any questions or need further information, please contact EMS Authority External Affairs at (916) 431-3700 or e-mail.